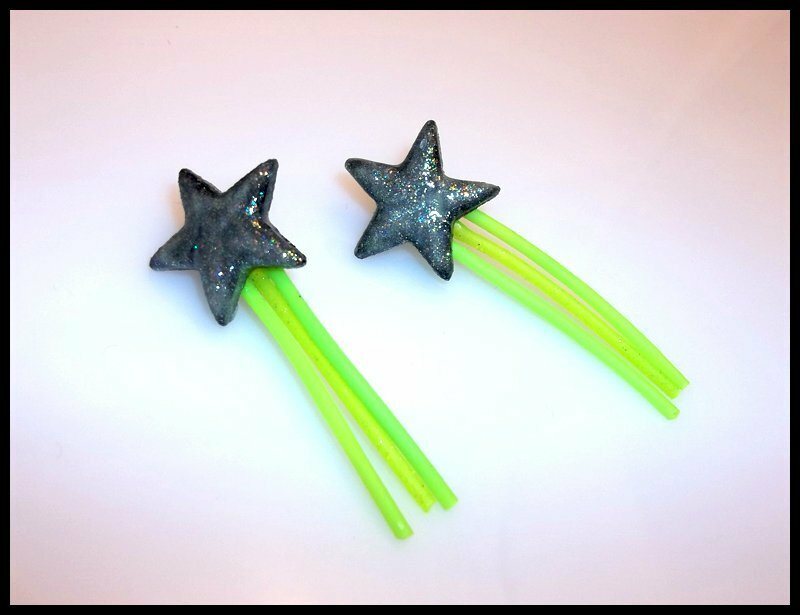 Glow In The Dark Shooting Star Earrings! Star pendants covered in glow in the dark paint and fine glitter. The rest is made of a black light reactive rubber. Made from a black vinyl record.